The Apple iPad was announced with great fanfare a few days ago. While the rest of the world is debating the relative merits of the hardware, we downloaded the iPhone 3.2 SDK to see what one can really do with this new puppy. The SDK is around 2.2 GB compressed, but it took forever to download. We expect the Apple servers were being pounded pretty heavily by developers around the world. 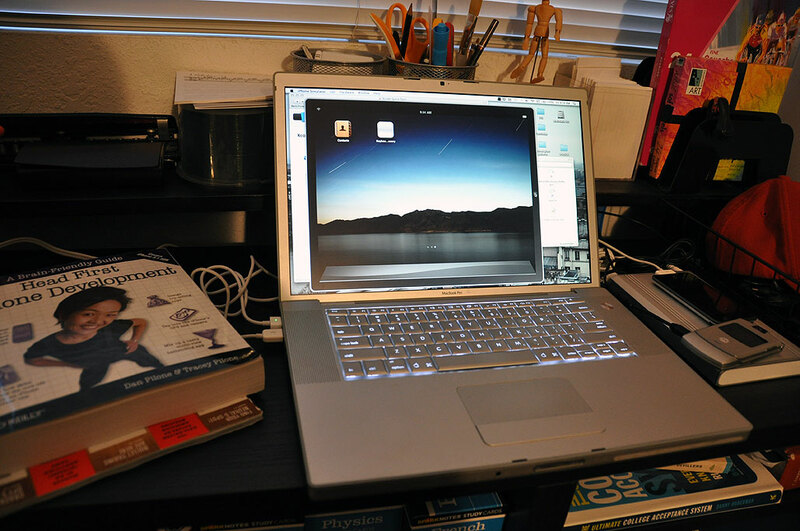 There were the usual requirements(Intel-based Macs only, Snow Leopard required, etc…). We decided not to bothered saving our current SDK and installed version 3.2 on top of it. The installation required a little over 6 GB and went without a hitch. This iPhone SDK v3.2 supports all previous 3.x versions. This means Apple code samples (ex: Bubble Level) dependent on V2.0 will not compile properly without changes. We will leave that as an exercise for the interns to fix and get running on the newer SDK. 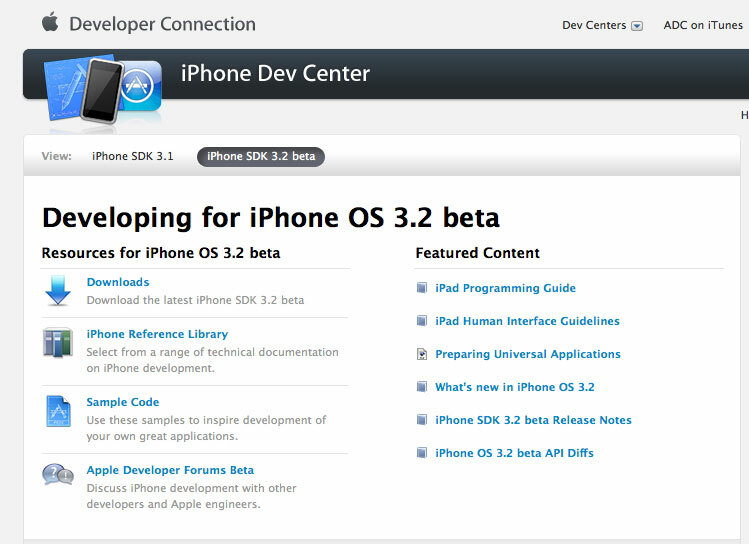 We will take a more detail look at the iPhone 3.2 SDK, tryout some of the iPad sample code from Apple, and see if we can learn a bit more about the new device. In a month or so, we hope to have our hands on the actual hardware. In the meantime, we will have a lot of fun getting our fingers dirty with the SDK. 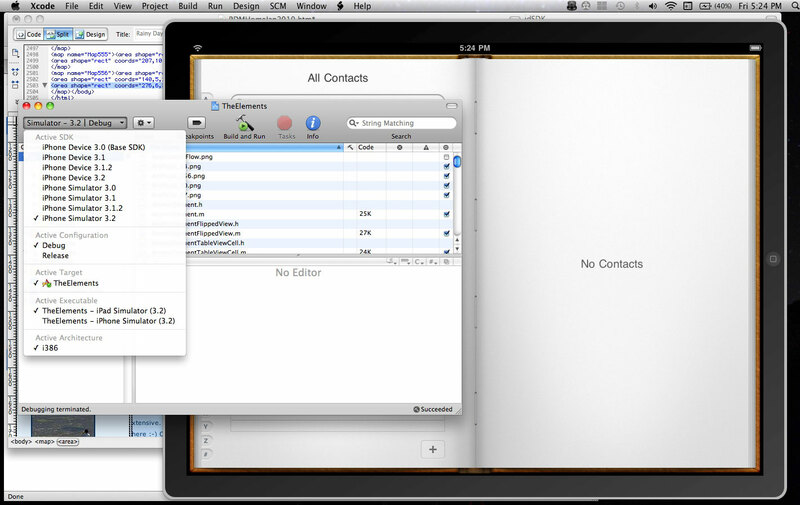 Apple’s Integrated Development Environment (IDE) is pretty awesome. Anyone can download the latest released version from Apple for free. Folks who want access to pre-release versions of the SDK will need to pay $99 and join the Standard Program. For anyone interested in developing for the iPad, iPhone, and iPod Touch, we think it is worth the cost.